It’s just before Christmas. Whilst many people are putting their ‘out of office’ messages on and joining the supermarket frenzy, I am spending a little time this afternoon thinking back on my year. Anyone that knows me might suggest that I am thinking ‘good riddance to 2014’ but that’s not the case. I am just reflecting. I have worked in ‘money’ over a number of years; financial advice, debt advice, financial inclusion and tackling poverty. In January 2014, Citizens Advice reported that there was a 39% increase in the number of people seeking online help with debt problems in the previous year. With their latest statistics due to be reported shortly, there are few that would expect that trend to reverse. 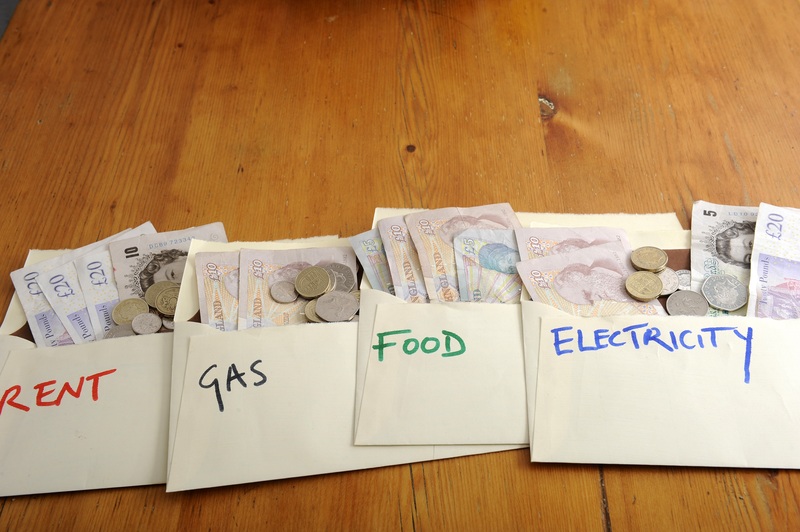 Rising prices for energy, food and housing is putting extra pressure on people’s finances. Bureaux are finding that payday loans, credit cards and overdrafts are being used to top up people’s income as wages remain static. Problematic debt occurs most often when personal finances are pushed to the limit…..and then something happens. Losing a job (or indeed a drop in working hours available), an addition to the family, ill health or suddenly having caring responsibilities can all be a catalyst. They all affect income and if there is no savings as a buffer, well, it’s not going to go well is it? This summer Legal and General published data from their survey of almost 5,000 people. The Deadline to the Breadline is the number of days the average UK household could survive financially if the main breadwinner’s income is lost through long-term sickness, critical illness or death before being totally reliant on state benefits, friends or family. The average Deadline to Breadline period in the UK is 29 days. In Wales it’s 7 days. That’s because here in Wales fewer people have a back-up plan to deal with an unforeseen shock to our income. So why at this cheery, festive time of the year is my blog post apparently full of doom and gloom? Well it’s not. From a personal perspective it’s not so much a ‘cup’s half empty’ as ‘cup’s half full’ view. It could have been me that was facing that breadline this year. Let’s just say that all plans for a normal year changed suddenly in the Spring and 6 months’ sick leave later I am back to work and acknowledging how lucky I am to be able to do so. I also appreciate working for an organisation that is so supportive of its staff when things go wrong and I am well aware that employees of many other companies are not as fortunate. Credit unions are a great place to put money aside for the unexpected. A little bit, put away regularly can really mount up. Safe, ethically sound and instant access, they offer an ideal place to keep your savings far enough away from temptation but near enough to access when needed. Hopefully you won’t need it to fall back on it, but it’s there if you do. Wishing you a happy and healthy 2015. If you’re a subscriber of this site, please note that blog posts will no longer be published here after January 1st 2015. A new blog site will be launched on the same day, to help replace this site, details of which will be made available at the time. If you wish to receive updates from the new blog site, you will need to select from a menu of subscription options. We hope this will improve your experience as a subscriber to our blog posts. We will be publishing a final post on this site on January 1st, which will include links to the new site and how to subscribe to it. Thank you for your co-operation. The project has been a 3 year roller coaster ride with plenty of highs and lows, and having to constantly evolve to reflect changes outside of our control. The biggest challenge being, the lack of detail early on regarding the roll out of Universal Credit. The event was very kindly hosted by the Huggard Centre, which for me sent a very poignant message. Our work is very much focused on the prevention of homelessness, whilst the work of the Huggard Centre is trying to break the cycle of homelessness. Prevention projects, like ours, are vital if we are to reduce the number of people who end up living on the streets, sofa surfing or living in temporary hostel accommodation. We were very grateful to have Lesley Griffiths AM, Minister for Communities and Tackling Poverty, speak at the event, where it was recognised our work brought together all the elements of her portfolio. The event was not only an opportunity to thank the project’s funders, Welsh Government and the Oak Foundation, but also to showcase our work to our new funders, Comic Relief, who found the event very informative and gave them insight into our thinking and methodology. Attendees came from local authorities, credit unions, funders and third sector organisations. Whilst most were familiar with our work, and had been active partners, the event highlighted new opportunities, with many attendees requesting follow up meetings to see how we can work together in the future. There is still so little we know about the Private Rented Sector, and so much more work to be done, but now is as good a time as any to get started……. Whilst government and political parties will no doubt be debating their record on poverty in advance of the general election, next year, is it time for a rethink on how we define and measure it? It’s something that we’ve been considering at the Wales Co-operative Centre, given the ways in which our work supports the wider tackling poverty agenda. Many of us working in this field have, over the years, disagreed with the relative nature of its definition. This, in my view, is one of its fundamental flaws. To cut through the technicalities if Mr Jones’ income was low enough, he would be defined as living in poverty. If his income remained the same but the rest of the nation’s income fell, he would be lifted out of poverty. He would still have the same income and the same bills to pay, but he would no longer be officially hard up. This is because Mr Jones’ status of living in poverty is related to his income compared with everyone else’s, not how well he is able to live on the money he has coming in. 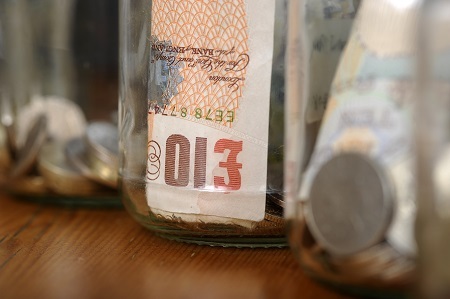 ‘A new approach to reducing poverty should adopt a clear definition of poverty, which is based on resources and household needs, not just a narrow measure of relative income’ says a new report published by the Bevan Foundation. Its report, ‘Rethinking Poverty – Implications for Action’, points to three clear required actions; raising incomes, meeting minimum needs and essential skills. This wider definition includes some important elements but the issue of income and money still troubles me. Why? The reason is that I have worked with many people who, on the face of it, have a moderate income but because their outgoings are so high, their disposable income is extremely low….so low sometimes that they can’t feed themselves or their family. Back to Mr Jones; if his employer starts paying the living wage, he may not be lifted out of poverty, it depends on everyone else’s income. Whether he can feed his family is immaterial. This is where financial inclusion and financial capability are critical. Every person needs to have a safe, secure and flexible place to manage their money and the knowledge and confidence to manage it well and make the most of what they have coming in. This means access to responsible financial products and debt advice when things go wrong. Credit unions are a great starting point for many people who have been excluded from these essential services for far too long. Tackling poverty runs through everything we do at the Wales Co-operative Centre; from helping people in some of the country’s most disadvantaged areas to improve their financial capability, to supporting people to get online and learn new skills that can help them back into work or start a business. We also work with social enterprises and co-operatives, to help develop stronger, more sustainable and better businesses. This week (Tuesday, 4 November), I was invited to speak at ‘Advice & Support’, Carmarthenshire’s Network Event in the Halliwell Centre, Trinity St Davids, Carmarthen. The topic was ‘What financial inclusion really means and its significance in the fight against poverty’; the challenge was taking something that I could talk about all day and putting it into a 20 minute presentation. Capability – having the ability to interpret the information and use it to make informed decisions appropriate to an individual’s circumstances. Poor or no credit history may well exclude you from low interest loans from mainstream lenders (banks, building societies), often leaving no option other than high interest loans, payday loans or a worst case scenario using a loan shark. Lack of understanding or choice can lead to ‘costly’ inappropriate decisions. Closures of local banks and post offices. So tackling financial exclusion must be a priority if we are to reduce the number of people living in poverty across Wales. For many, this will mean changing attitudes and behaviors towards money and educating people on the responsible options available. In light of Welfare Reforms, reduction in public spending and recommendations from the Williams Commission, is now not an opportune time to radically rethink how we deliver services, fund local delivery strategies and generate sustainable job creation? eud y defnydd gorau o’r rhyngrwyd a thechnoleg ddigidol. Rhian Hughes, Financial Inclusion Champion in North Wales, tells us how she felt privileged to speak at the Conwy & Denbighshire Local Service Board – Financial Inclusion Together (FIT) project end event on Friday (24 October 2014). Supported by the European Social Fund, the aim of FIT was to tackle poverty by developing, co-ordinating and promoting financial inclusion within Local Service Board (LSB) organisations across Conwy and Denbighshire. Having worked closely on FIT from its inception, and being a member of the Project Board, it was also a pleasure to hear others speak so positively about the project and the outcomes it has achieved. The event was led by Alan Smith from Denbighshire County Council, who is the Chair of the Project Board. Others who shared their experience of the project were Bev Moore, LSB Development Officer for Denbighshire, who gave an overview of the project’s achievements. Cath Richards, Benefits Manager for Conwy Council, described how Conwy were embedding and incorporating financial inclusion in to their strategic planning. Chris Bailey, a Debt and Money Adviser for Clwyd Alyn, explained how they will be incorporating the training in to their day to day activity. Andrew Bowden, Chair of the Conwy & Denbighshire LSB said he was ‘proud and pleased’ to have been involved in the project, and Cllr Philip Edwards of Conwy Council, who is also the Anti Poverty Champion for the local authority, said it was a ‘privilege’ to be a part of this project. Both Andrew Bowden and Philip Edwards are members of the Project Board. This event was a culmination of 18 months work to achieve some very impressive outcomes, including our aim to train 1000 front line staff from LSB partner organisations to equip them with the knowledge and skills to support their service users. We are confident that our target will be reached when the project ends at the end of December. These front line workers have also been equipped with quality resources to support them in their work. We have also exceeded some of the targets we set at the beginning of the project, including increasing the knowledge and confidence of frontline workers to recognise financial exclusion. A surprising outcome was also the fact that 73% of those who attended the training, felt that they themselves were more financially included as a result, through the training and also in a position to pass this on to their family and friends. We also heard from a frontline worker’s experience of attending the training and how they were then able to support service users experiencing financial difficulty. Representatives from Welsh Government, housing associations, and the third sector also attended the event, as well as Iwan Davies, Chief Executive of Conwy Council and other strategic members from both Conwy and Denbighshire County Councils. Although the project will end at the end of December, a change of culture has taken place within the LSB partner organisations and we will see financial inclusion as part of their strategic planning. The work will not end and we will continue to tackle poverty and financial exclusion by working together. Dros yr ychydig flynyddoedd diwethaf, bûm yn ffodus i annerch amrywiol gynadleddau, rhwydweithiau a digwyddiadau eraill ynglŷn â gwaith y prosiect Taclo Digartrefedd trwy Gynhwysiant Ariannol rydym yn gyfrifol amdano yng Nghanolfan Cydweithredol Cymru. Bydd y cyfle i gynnal sesiwn ymylol yn Symposiwm Digartrefedd y DU, yng Nghaerdydd, yn ein rhoi ar lwyfan cenedlaethol am y tro cyntaf a hefyd yn ein galluogi i rannu arfer gorau â’n cymheiriaid o bob cwr o’r wlad. Mae rhai themâu allweddol i’r symposiwm – dysgu, gweithio mewn partneriaeth ac arloesi – sydd oll yn cyd-fynd â’n gwaith a ffocws strategol y Ganolfan ar daclo tlodi. Yn y digwyddiad, byddaf yn rhoi ein gwaith yn ei gyd-destun trwy siarad am ei berthnasedd i Ddeddf Tai Llywodraeth Cymru, a ddaeth i rym y mis diwethaf, a’r cyfleoedd a ddaw yn ei sgil. Er enghraifft, wrth ystyried tenantiaid bregus, yn y gorffennol byddai cyn-droseddwr wedi cael tenantiaeth chwe mis yn unig mewn tŷ cymdeithasol. Nawr, gallai gael cartref yn y Sector Rhentu Preifat o dan denantiaeth safonedig – byddai hyn yn rhoi mwy o sicrwydd o fewn daliadaeth. Byddaf hefyd yn siarad am ganfyddiadau’r gwaith a wnaethom yng Nghaerffili, gyda’r Cyngor Bwrdeistref Sirol a landlordiaid preifat, lle rydym wedi ymweld â chartrefi tenantiaid y mae eu landlordiaid yn derbyn eu rhent o dan y polisi Diogelu. Mae’r holl denantiaid rydym wedi ymweld â nhw wedi elwa ar gael eglurhad manwl o sut y bydd y Diwygiadau Lles yn effeithio arnynt yn bersonol, ynghyd â’r camau y gallant eu cymryd i helpu i baratoi at gyflwyno Credyd Cynhwysol. Byddaf yn cyfeirio at Gomisiwn Williams a sut y gall y posibilrwydd y bydd llai o awdurdodau lleol yng Nghymru arwain at heriau a chyfleoedd i’r sector tai. Er ei bod yn bosibl y bydd llai o adnoddau ac arian, gallai adrefnu fel hyn arwain at ailfeddwl am sut y mae gwasanaethau’n cael eu darparu, gan wella’r ffordd y mae pobl yn cael help i gael mynediad i’r gwasanaeth/ymyrraeth gywir ar yr amser cywir. Mae’n amlwg bod angen i landlordiaid wneud rhagor i gefnogi tenantiaid yn y Sector Rhentu Preifat; nid oes fawr ddim rhyngweithio rhwng llawer ohonynt â’u tenantiaid. Fodd bynnag, gwyddom hefyd y gall rhai tenantiaid fod yn amharod i helpu’u hunain, i fynegi’u pryderon a gofyn am help oherwydd eu bod yn ofni cael eu troi allan o’u cartrefi. Mae angen i landlordiaid, awdurdodau lleol a sefydliadau cymorth gyfathrebu’n well â’i gilydd – mae peth arfer da ond nid yw’n gyson ledled Cymru. Mae angen i ni weld partneriaethau cryfach yn cael eu datblygu rhwng awdurdodau lleol a landlordiaid preifat, gan arwain at ddealltwriaeth well o wendidau tenantiaid a’r gefnogaeth y mae arnynt ei hangen. 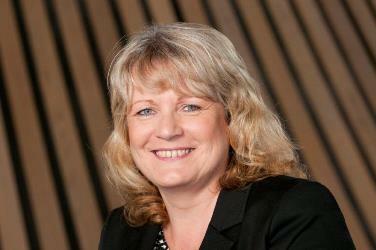 Yn y bôn, mae angen i awdurdodau lleol weld landlordiaid preifat fel partner tai strategol. Fe wna i ddistewi nawr, neu byddaf wedi dweud y cyfan! Hefyd, bydd gweithdai yn cael eu cynnal yn hwyrach yn y dydd a fydd yn manylu ymhellach ar rai o’r materion y byddaf yn siarad amdanynt. Over the last couple of years, I’ve been fortunate to address various conferences, networks and other events on the work of the Tackling Homelessness through Financial Inclusion Project that we run at the Wales Co-operative Centre. The opportunity to run a fringe session at the UK Homelessness Symposium, in Cardiff, will put us on a national stage for the first time and also enable us to share best practice with our counterparts from around the country. The symposium has some key themes running through it – learning, partnership working and innovation – all of which chime with our work. At the event, I will put our work into context by talking about its relevance to the Welsh Government’s Housing Act, that became law last month, and the opportunities it brings. I’ll also talk about the findings from the work we’ve done in Caerphilly, with the County Borough Council and private landlords that has seen us carry out home visits with tenants whose landlords receive their rent under the Safeguarding policy. All of the tenants we visited have benefitted from a detailed explanation of how the Welfare Reforms will affect them personally, along with measures they can take to help prepare for the introduction of Universal Credit. I’ll touch upon the Williams Commission and how the potential reduction in local authorities in Wales can again lead to challenges and opportunities for the housing sector. While there may be a reduction in resources and funding, such a shake-up could lead to rethinking on the delivery of services, improving the way people are helped to access the right service/intervention at the right time. It’s clear that landlords need to do more to support tenants in the Private Rented Sector; many have little or no interaction with their tenants. However, we also know that some tenants can be reluctant to help themselves, to speak up and ask for help. Landlords, local authorities and support organisations need better communication with each other – there is some good practice but it’s not consistent throughout Wales. We need to see stronger partnerships being built between local authorities and private landlords, leading to a better understanding of tenants’ vulnerabilities and the support they require. Essentially, local authorities need to view private landlords as a strategic housing partner. I’ll leave it there, otherwise I’ll give everything away! Also, there are workshops taking place later in the day that will go into greater detail on some of the issues that I’ll be talking about.